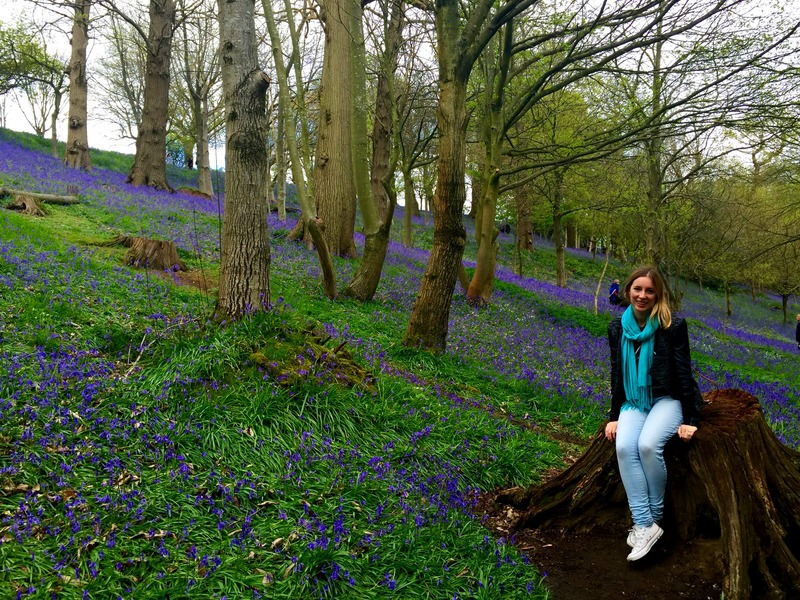 Springtime is just too damn pretty for words, and this year I wanted to visit some of the colourful bluebell woods that bloom in abundance around this time. We live just on the outskirts of London, in Kent, so the “Garden of England” and its National Trust properties and gardens was the perfect place to go exploring. With the promise of the little tea and cake shop that is always bound to be found at a National Trust property, I managed to persuade Mr Ayla to come along on this flowery outing of mine. 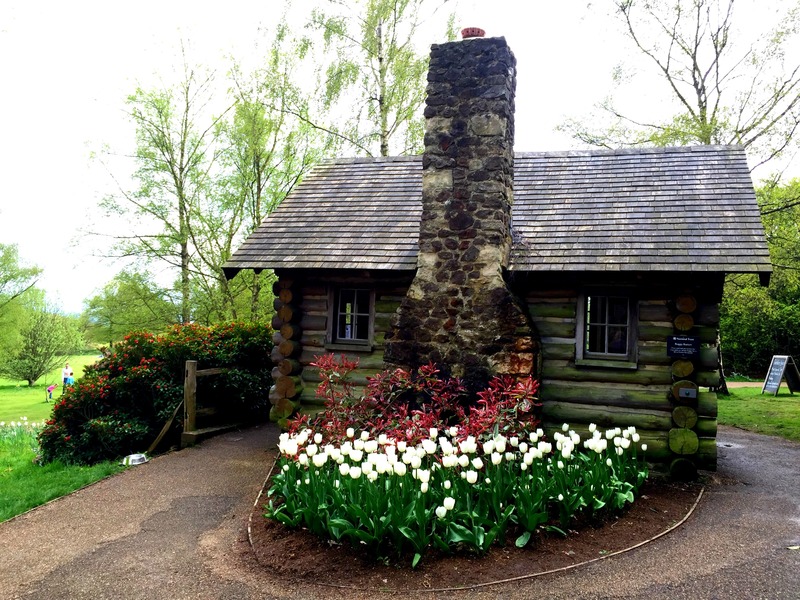 We headed to Emmett’s Garden where a cute little cottage (obviously Snow White’s home) greeted us. 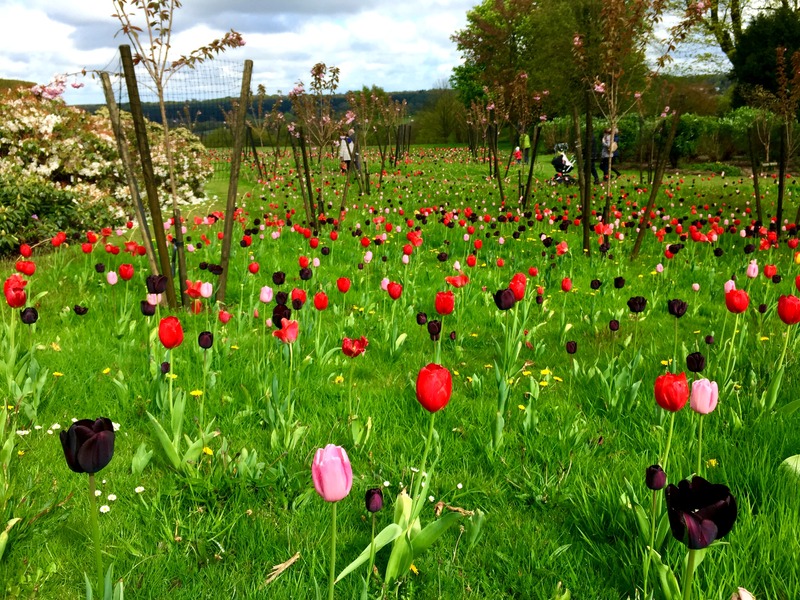 A big green meadow, perfect for picnics and outdoor games in the sunshine, spread out before us with a colourful display of budding bright pink, red and black tulips. The garden was bursting with all sorts of colourful flowers, growing on bushes and in trees that hung over our heads, popping up in the grass surrounding our feet and along the pathways. We found a peaceful corner of the garden where we sat in the brief spell of a sunny spring afternoon, before following the path to the bluebells. The bluebell woods were of course my favourite part of the garden. A blanket of bright blue and purple covered the ground under the shade of the trees, giving the woods a very Disney-esk atmosphere. I could just imagine a princess (aka me) skipping through the woods, bending down to pick a flower, while singing to the little birds that flit around her. I could totally be a princess! It’s beautiful Angie! I could have spent the whole day there if the weather hadn’t turned miserable later on! oh Ayla, that cottage is THE MOST GORGEOUS house I’ve ever seen! Can I live there, would anyone notice if I moved in? 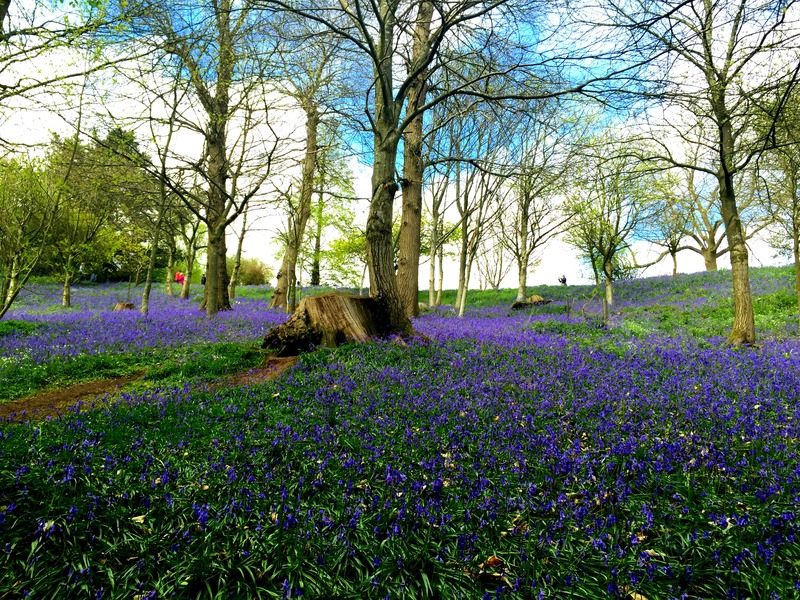 Looks like a lovely place to spend the day, I love bluebells! I have got more than enough of my own for the next fortnight luckily! We are housesitting and the garden drops down a bluebell carpeted bank down to a loop in a babbling stream: honestly, it’s like a fairyland down there! Baby rabbits, cuckoos calling! Sounds like a wonderful place to housesit! You stay in some of the best places! 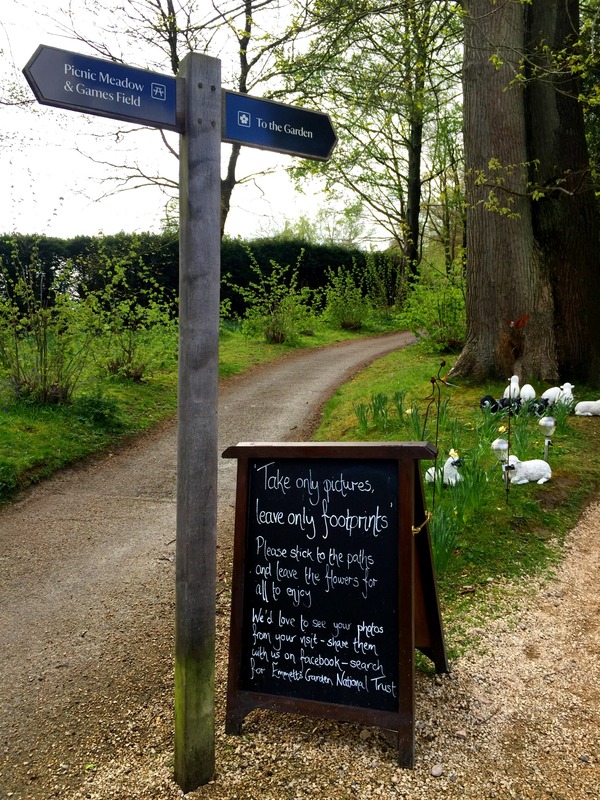 Bluebells, tulips and cake in a quaint setting are a perfect outing for spring. The colours just make you happy after all that white and grey from winter. There are quite a few close by to us so make sure you do go some time. Hahahaha I was debating whether to put “And Mr Ayla could totally be a princess too” but I thought he may not appreciate the humour!! I hadn’t heard of Emmett’s Garden, it’s beautiful and I love the tuliips as well as the bluebells. 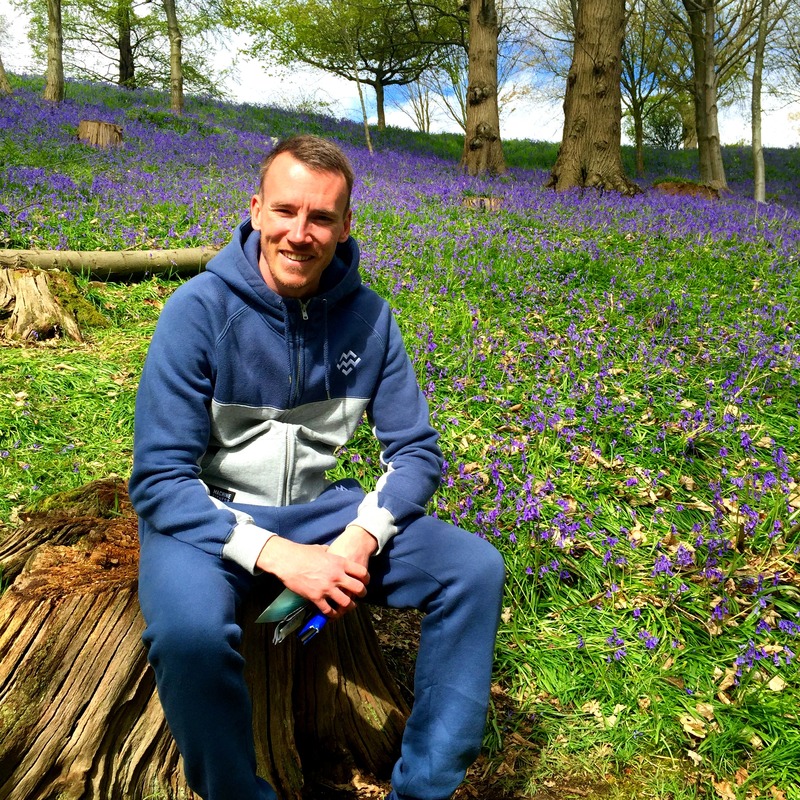 We were recently in Kent and I spotted some bluebells in a wood near Charles Darwin’s house, highly recommend it there by the way if you’ve not visited. I’ve never seen a black tulip so I loved the tulips too! They seem to be everywhere around here. Now I’ve actually been to see the bluebells I keep spotting them everywhere I go. We’ve even got some in our garden that I never noticed before! Those tulips are so beautiful! They look so pretty dotted around in the green grass. How lovely Ayla! Spring truly seems like a magical time to be in England 🙂 Very colourful! This place is so quintessentially English – I LOVE it! How beautiful. Ahh, I love bluebell season and these woods look gorgeous. I was recently in the Forest of Dean and they were amazing there too. Spring time in the UK is such a colourful season!